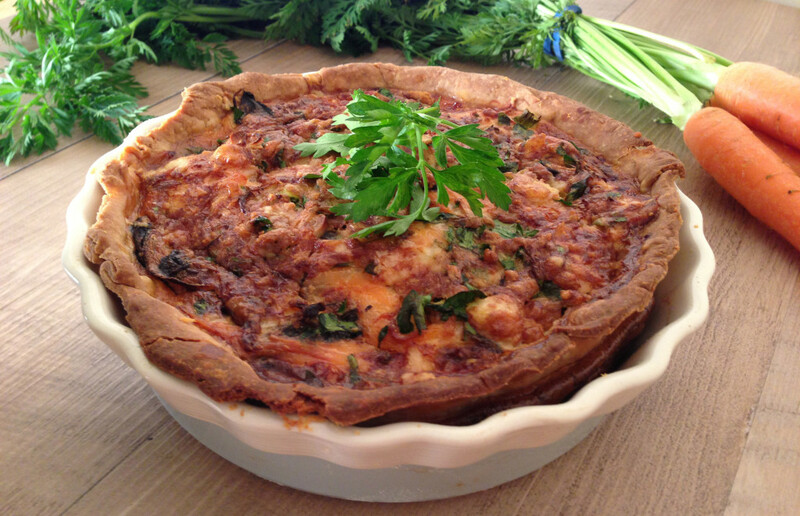 I used to be a little daunted when it came to making quiche, however this recipe is really simple to make, allows you to be really flexible with the ingredients that you use and can be perfect for a light lunch or supper treat. The trick is to always blind bake your pastry first so that you avoid the dreaded soggy bottom and don’t overfill your pastry with the quiche mixture or you’ll end up with a watery mess. Sieve the flour and salt into a large bowl and add it the cold cubes of butter. Rub the butter into the flour using your fingertips, until it makes a light breadcrumb-like mixture. You will want to do this quick, to avoid letting it get too warm and greasy. Add in the cold water a teaspoon at a time, mixing with a knife as you go, until all of the dough binds together. Then wrap it in cling-film and put it in the fridge for 15 minutes. Sprinkle some flour over a clean surface and whack your dough onto it. Using a lightly floured rolling pin, roll out you pastry until it is roughly 5mm thick and is the perfect size for your quiche dish. Grease your pastry dish and add your pastry. At this stage you will need to blind bake your pastry. Don’t worry if you haven’t got any baking beads - just cover your pastry with foil and pour in those pennies that you’ve been saving up and stick in the oven for 10 minutes. Carefully remove the pennies and foil from your pastry (they will be very hot). Now you need to add in your filling. Sprinkle a very small amount of cheese at the bottom, being careful not to add too much, as this will give you a soggy bottom. Then layer on the vegetables and smoked salmon evenly until they reach the top of the quiche dish. In a jug, whisk together the cream, milk, eggs, salt and pepper. Once this has combined, pour the mixture slowly and evenly into quiche, stopping around 1cm before it reaches the top of your quiche dish. Add to the oven and cook for around 30-35 minutes. 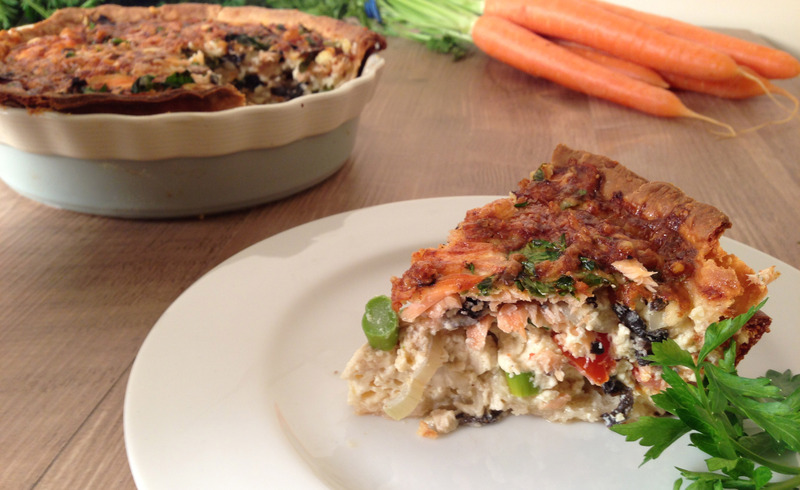 There are two easy ways of testing whether you quiche is cooked. If you have a cooking thermometer, poke it into the centre of your quiche; if the temperature is 70 degrees Celsius or above, then your quiche is ready. If you don’t have a cooking thermometer, you can do the wobble test. Give your quiche a light shake; if it doesn’t wobble then you know it is cooked all the way through and is ready to take out of the oven.